What better way to spend a day than picking apples, sampling wine or maneuvering through a corn maze? Follow Us on Facebook Several Johnson County farms are open to the public for purchasing home-grown foods and plants, enjoying entertainment and learning about our agricultural heritage. These agribusinesses also happen to be among the most successful in Indiana. 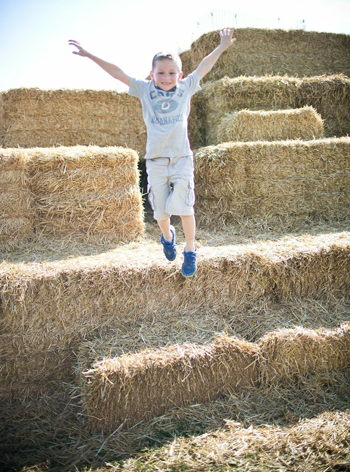 Especially during the fall, thousands of visitors come to Johnson County for family time on the farms. The beautiful colored leaves and cool fall weather make the experience even more enjoyable. Explore Johnson County Agriculture began as a project of Leadership Johnson County. This project created a passport with a sample of agribusinesses located in Johnson county. 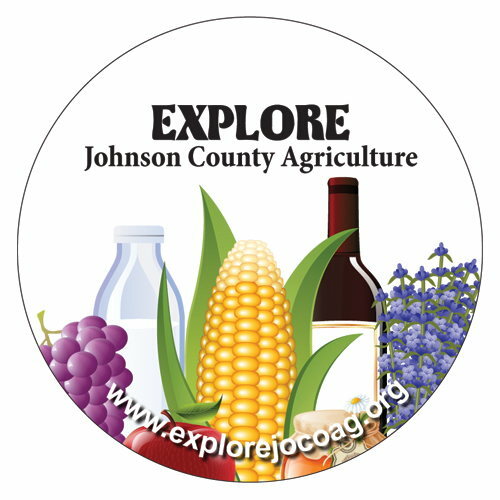 Download your free Explore Johnson County Agriculture Passport, get it stamped at participating agribusinesses and receive a free commemorative ornament. The agribusinesses below who participated in the original project are designated with this symbol. This page has now been expanded to include other Agribusinesses located in Johnson County. 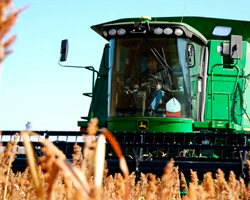 Agriculture is an important economic sector for Johnson County as well as providing several visitor destination locations. The businesses listed below include those with a destination component as well as working farms. Please check their website to determine if public visits are allowed and the times for the visits. 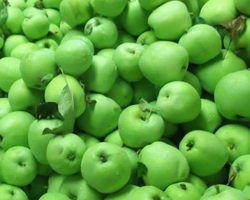 The Apple Works grows and provides high quality apples as well as other fruit superior in taste and texture to that available in the grocery store. We also host special events, especially in the fall, including hayrides and musicians. Our beautiful outdoor setting also is a destination for weddings. Please see the website for hours. Come and see a rain garden, raised vegetable beds, heritage breeds of farm animals, bees, and more native flowers and grasses than you can imagine. 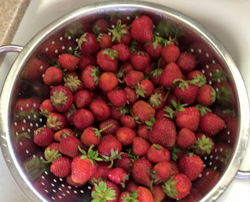 We are experimenting with some unusual fruits and berries as well as adding a "ton" of plants to help our pollinators, including Monarch butterflies. Farm tours are easy to schedule. The Dougherty family has operated this beef farm for multiple generations. 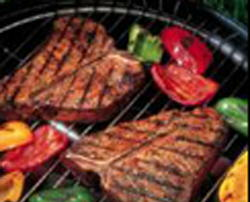 The family is committed to providing high quality, grain fed beef for your family. 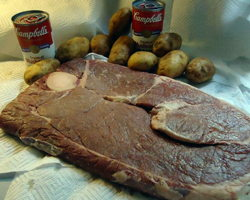 Please see the website for information on how to order the beef. Franklin Farmers Market provides a venue where local farmers, producers, crafters and artisans come together to provide a variety of fresh produce and related products directly to you. 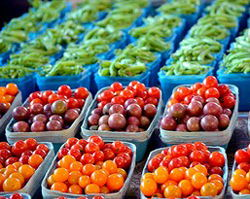 The market fosters social gathering and community building, and promotes nutritious food choices. 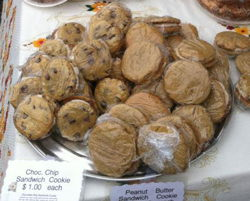 Discover Downtown Franklin started running the Farmers Market in 2011. In 2014, they set a record high attendance of 967 people visiting the market on a single Saturday. The Franklin Farmers Market is located in the southwest parking lot on the corner of Jefferson Street and Jackson Street and operates from 8 a.m. to noon every Saturday from May through the first weekend in October. Old Town Greenwood Association operates Greenwood's Farmers Market from 8 a.m. to noon on Saturdays from the second week of May until second Saturday in October, depending on the produce availability. Please contact Jeff Allen at 317.885.7665 for any questions regarding the market or email us at greenwoodfarmersmarket@yahoo.com. The JP Parker Flower Farm annually produces 20,000 peonies and 300,000 sunflowers and is a picturesque setting for weddings and other special events. Painters and photographers often request the chance to spend time pursuing their craft on the property, where they find inspiration in the surrounding natural beauty. 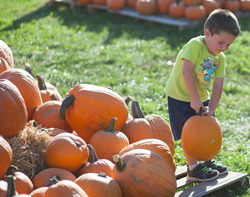 Kelsay Farms is a sixth generation family farm in Whiteland. Originally land-granted by President Martin Van Buren in 1837, this farm has survived through the years by implementing sound management practices, adapting to the changing industry, and creatively marketing itself and its products. We enjoy hosting tours at the farm and look forward to your visit. 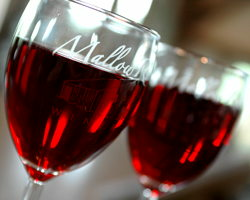 Mallow Run Winery is nestled on a family farm in Bargersville. Relax in our cozy and rustic tasting room, or sip wine in the sunshine on the deck. Spread out a blanket on the lawn and enjoy one of our many outdoor concerts in the summer. Delight your palate as you taste some of our award-wining wines. Whether it’s a romantic afternoon for two, a meeting place for old friends, or an escape from it all, we hope to make your experience at Mallow Run as enjoyable and memorable as possible. 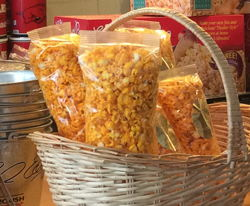 Not Just Popcorn is a popcorn lover’s dream. Now with 399 flavors of gourmet popcorn, Carol Buck has been building her business since 1989 when she had only 8 flavors to start. Carol is born and raised in Johnson County and continues to reside in Edinburgh where you can find her store front, right downtown on East Main Cross Street. Johnson County corn is used in her product. Not Just Popcorn has gained national notoriety by being featured on the Food Network, and has gone global with travelers coming from halfway across the world to visit. Tours are available for all to enjoy, while a guest book can be signed to get you on a mailing list which gets you a birthday card that serves as a perpetual 10 percent off coupon valid at every visit. First-time time purchasers are encouraged to take advantage of the half-price refills. 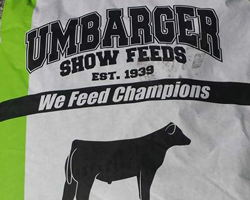 Umbarger Show Feeds is a fourth-generation family owned and operated business located in central Indiana, and has been in business for more than 70 years. Umbarger Show Feeds has been specially formulated by Showmen for Showmen. They understand the importance of nutrition and winning results. Their expertise in Steam Flaked grains and dedication to the show ring sets them apart from the competition. Umbarger Show feeds focuses on providing the highest quality products along with the service you desire. They have an extensive dealer network covering 13 states. Situated in the town of its namesake, The Whiteland Orchard encompasses 30+ acres, four greenhouses and “Our Farm Market”. Since purchasing Whiteland Orchard in 1975, Glenn and Becky Haveman have been dedicated to providing fresh apples—as well as many other types of produce and plants—to Johnson County. Their apple varieties include: Jonathan, Fuji, and Golden Delicious. And while apples and apple cider are their specialty in fall, they offer vegetables flowering bedding plants, and bulk garden seeds in the spring. 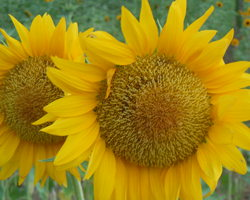 They also grow a variety of fresh vegetables during the summer. Come visit “Our Farm Market” in Whiteland, Indiana to shop for apples, apple cider, bulk garden seeds, pure local honey, Marion-Kay spices from Brownstown, Indiana, and canning supplies. 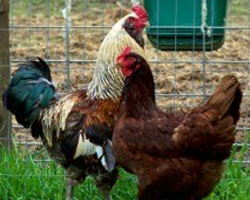 Family operated hobby farm situated on 20 beautiful acres in Amity, Indiana. 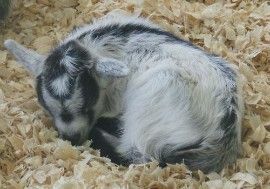 Their mission is to improve both the pygmy and saanen herds while educating other, maximizing profitability and producing high quality NPGA and ADGA registered 4-H animals and farm products. Fresh garden vegetables and other locally grown food. Seasonal flowers and plants. Feed and other agricultural products. Indy Family Farms is a fifth generation farm operation located in Greenwood, IN, approximately 15 miles southwest of downtown Indianapolis. We are a grain production and marketing family-owned business operation. Corn, soybeans and wheat are produced annually on the 300-acre home farm and many rented acres. Other than ourselves, we currently have a total of six full-time employees along with some seasonal part-time employees. Beef sale to the public. Contact for more information. 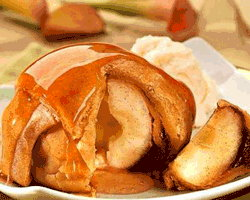 Provides Beef, pork, lamb, goat, and eggs for sale. 100% all natural grain fed beef locally grown and sold. See website for current prices and availability. 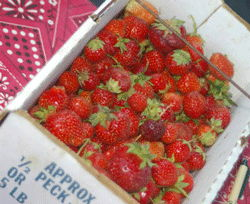 Locally grown produce available in season. See their Facebook page for current availability. Locally grown produce available in season. Allows customers to participate in U-pick crops when available.See website for current produce and hours. Download a Passport below and get it stamped at each stop on the Johnson County Agriculture Tour. You will then receive a free Explore Johnson County Agriculture commemorative ornament. The ornament serves as a reminder of the adventures you had during the year learning about all the fascinating agricultural opportunities Johnson County has to offer.